Well… what an interesting 2.5 days I had at Rinku Town, at the 関西国際センター! It wasn’t too far for me to travel there from Tadaoka, but it was still humid! And I suppose, atleast I didn’t get into the wrong carriage like one of my fellow JETS (poor thing!). Anyway we got sorted into our classes, and I was in Class C, which was the highest level class for us JETS… Our teacher spoke abnormally fast! I could understand most of what was going on, but I’m sure I was the worse one in my class… Anyway, the first day was ok, when through the topic of “my home town” stuff, and which country we came from and stuff… After class we went to this Indian Restaurant and had the best Indian I have had in ages! 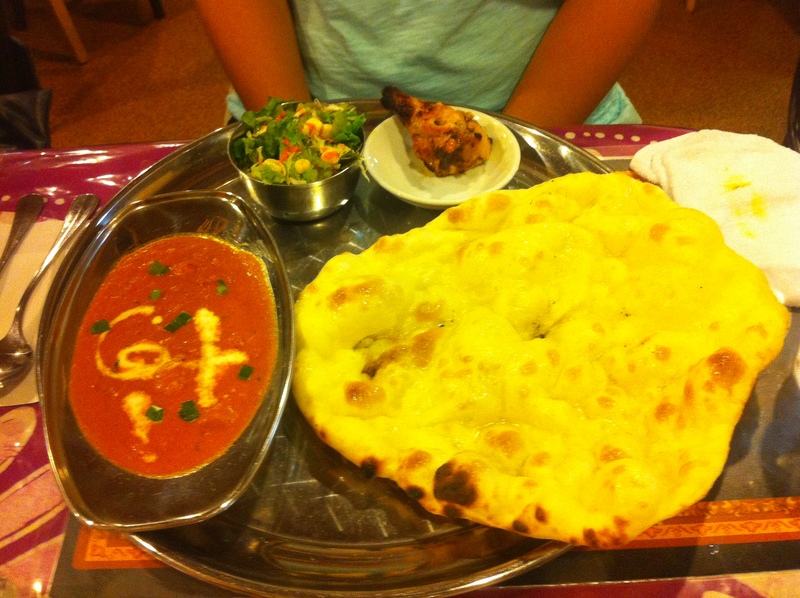 Or maybe it’s because it had been so long since I had eaten Indian, it was like heaven…. After eating our awesome インド料理, we hoped on our bikes that we borrowed and headed for a pit-stop by the local コンビニ to buy some alcohol and then make out way back to the Centre for some Karaoke time!!! 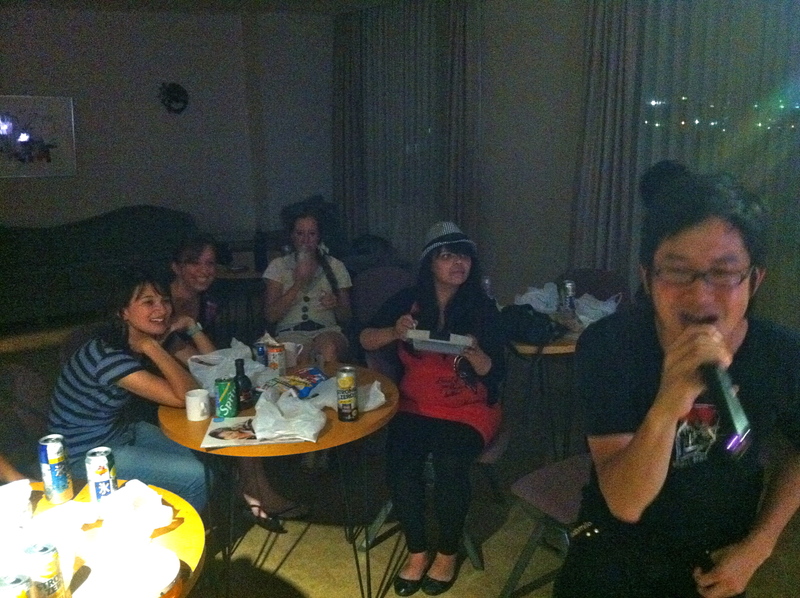 I think we were singing for something like 3 hours… and they had recent songs! Andre even got to sing Rhianna & Eminem latest song ‘Love the way you lie” which everyone kinda pitched it to! The next morning I felt so tired.. but I went to go eat breakfast where I met some of the other JETs and then it was of to Hell class again, with the super fast speaking teacher. Anyway, got through the day, and got told about the speech that we would have to talk about in the morning of our last day. 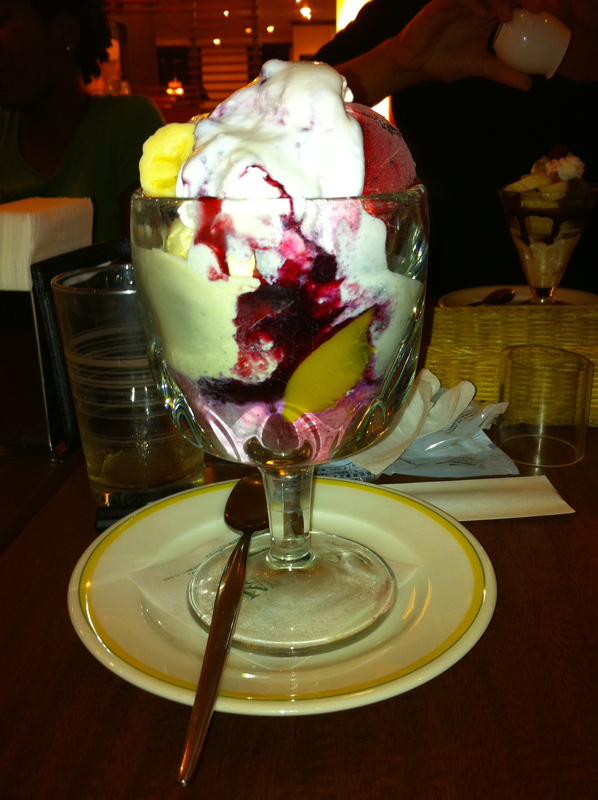 We went out for dinner, and it was good.. I’m totally thankful that I went, coz I ate the most yummy dessert! I chose the topic of 異文化理解, but coz my 日本語 is like not pro yet, it took me from 10pm to 6:30am to type, and then write (as I had no paper to print) and then go back to my room, have a shower, go eat breakfast, head to the Anime/Manga option class which was lucky coz it was only 2 of us that went and the teacher felt kinda sad that not many people came.. and then speech time! I seriously looked like death warmed up! BUT I managed to do my speech, and I even said it faster than when I did summer school speeches at 東広島の国際プラザ!